evil monkey live at galapagos tonight! 11pm Thursday April 2 at Galapagos in Brooklyn — I’m performing with some freshly-built electromechanical instruments, some of which are shown here. On Sunday they’re going to become part of a permanent sound installation at the Coney Island Museum. 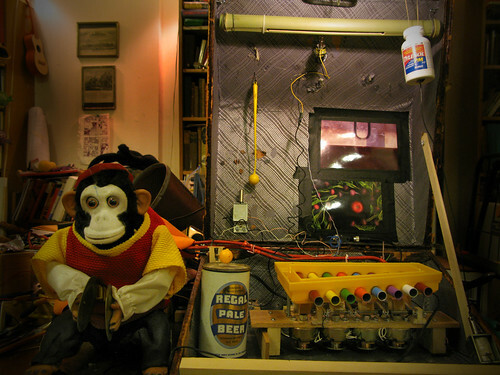 * evil monkey is on loan from the Coney Island Museum. I’ve wired him for midi control.